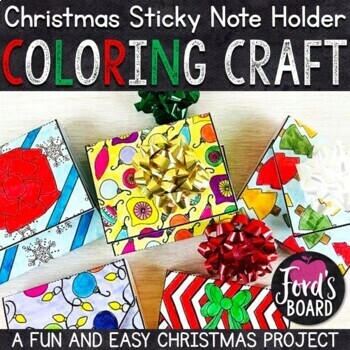 This fun, easy Christmas sticky note holder craft will inspire your students to make memories, get creative, and make a fun gift for someone special that can be used again and again! Very little prep and a few additional supplies are required to make this adorable Christmas craft. 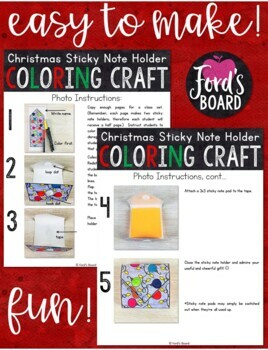 Simple step by step instructions and helpful photos will help teachers explain and model the steps for the sticky note holders. 3. There are two versions for each page, one with a plain flap and one with a pointed flap. 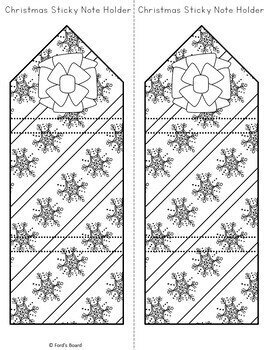 • In addition to this resource, each student will need a hook and loop Velcro dot, a 3x3 sticky note pad (find a class set for around $10 on Amazon), and an optional bow to put on top. • Laminating student pages after they color and before they cut out the outline is required. 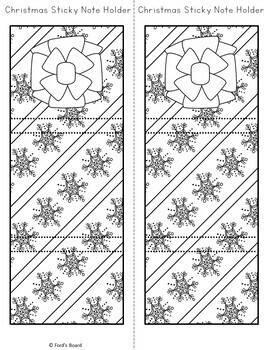 • Printing on cardstock will make the holders more durable, but will be a little trickier to fold.